Rose is obsessed...with reading. When she reads, the lines between reality and fiction begin to blur. She begins a book "Only Her" and quickly becomes obsessed...she also becomes obsessed with the manly actor after seeing the movie. Rose is, in fact, married; her husband has tried to free her from her obsession many times before, will he succeed this time? The novel contains a letter, extreme sadness, ecstatic happiness, and afterglow. The reader will be taken on a journey through a book lover's mind, from the point of view of Rose. The characters are mostly likable, though the reader will want to shake Rose on more than one occasion. The reader has the chance to glimpse into each characters' literal hopes and dreams. The events are different, the author writes very fluidly with no awkward transitions. The author does not go overboard with the details, she writes very succinctly and with no embellishments. This book is recommended to adult readers. Congrats to C. Elizabeth for another great review on her novel. 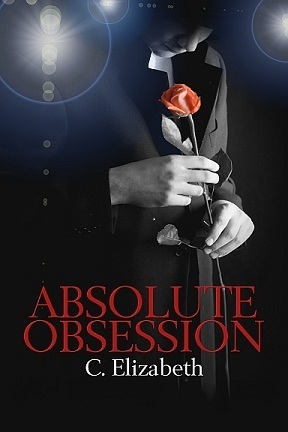 Thank you so much for taking the time to read Absolute Obsession and to write this. This is wonderful. Thank you to Laura.